From the best-selling author of Guitar Aerobics. This revolutionary approach to chord-tone soloing features a 52-week, one-lick-per-day method for visualizing and navigating the neck of the guitar. Rock, metal, blues, jazz, country, R&B and funk are covered. Topics include: all 12 major, minor and dominant key centers; 12 popular chord progressions; half-diminished and diminished scales; harmonic minor and whole-tone scales; and much more. The accompanying online audio contains demonstrations of all 365 licks. 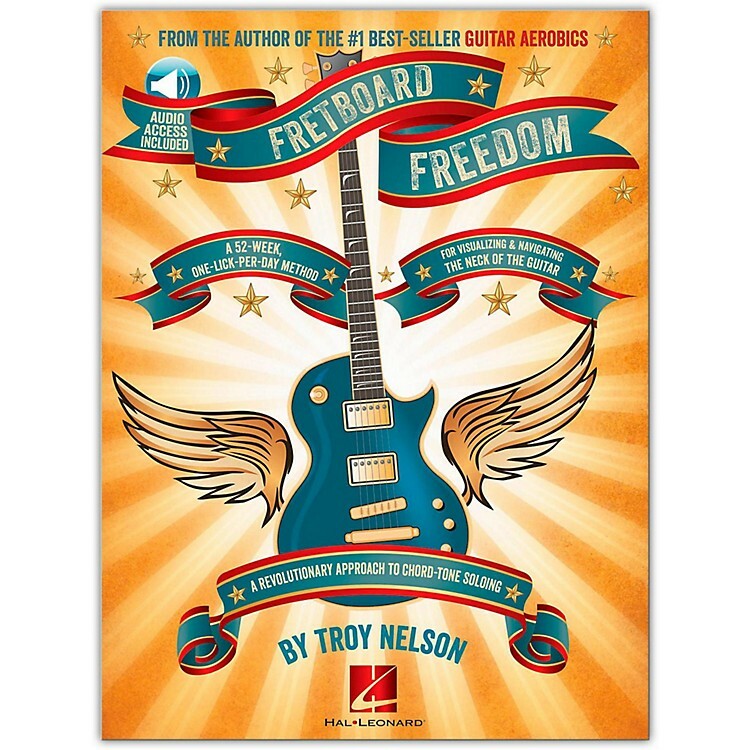 Written by Troy Nelson, author of the #1 bestseller Guitar Aerobics and former editor-in-chief of Guitar One.